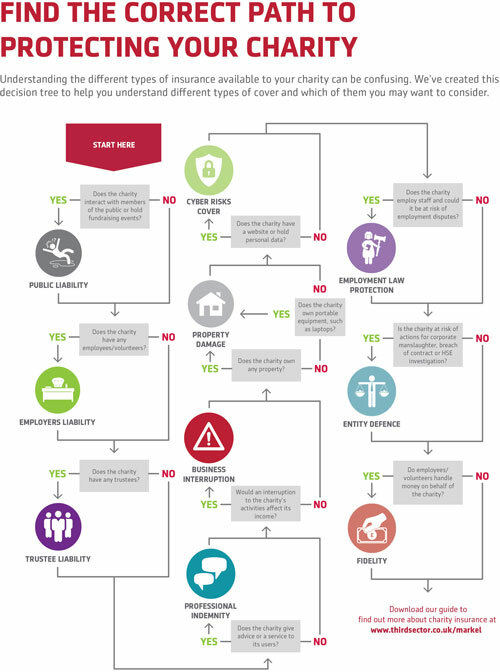 Guide: What insurance does your charity need? In today’s litigious society, charities are at risk of being sued even if they make an innocent mistake, and the legal costs to defend a claim can be significant. It’s important to ensure your charity is protected with adequate cover for any unforeseen events. There’s a range of insurance covers available for charities, and it can be difficult to get your head around the different types available. Markel have created a useful guide to help you make sense of the various covers available and which of them you may want to consider.